Thank you for thinking of sharing your most precious gift with us, your child. In return for your trust, it is our goal to provide a peaceful, loving environment in which your child can grow and develop to his or her fullest potential. We believe that infants learn through play and the finest gift we, as adults, can give them is time - time to be children. The Montessori curriculum looks at infancy with the belief that an infant is a person with unique needs and wants, and strives to make a program that will ultimately assist in the development of a confident human being. 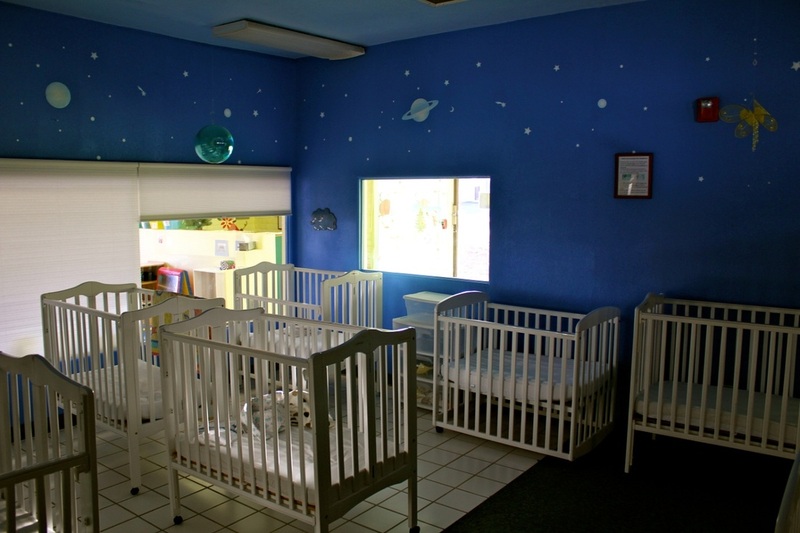 We have a separate building for infants, which helps prevent the spread of germs from older children. We have quality, thick mattresses for our cribs. 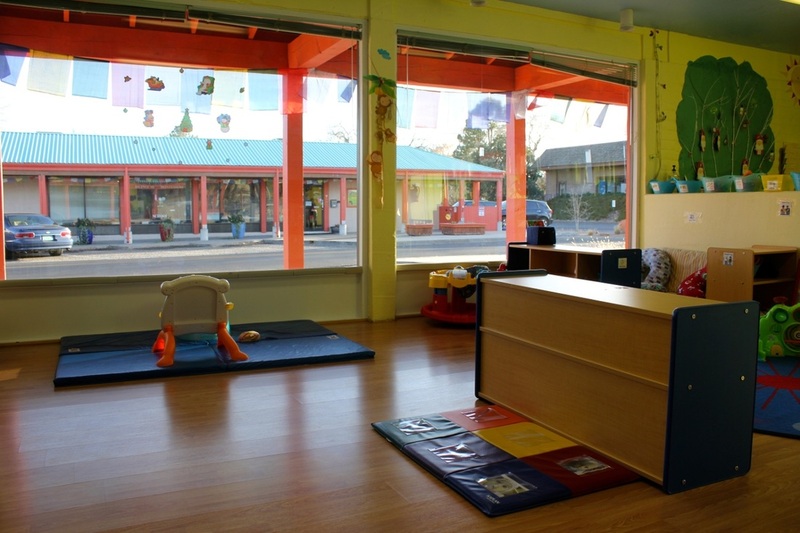 As with all Montessori classrooms, the infants are in a prepared environment, which will foster a love of learning and independence. The equipment is age appropriate and interesting. There are varieties of things for the child to do and see throughout the day. At BMS, part of the curriculum includes taking the early walkers for a walk around the school so that they can exercise and see more of their environment. Routines are extremely important to infants- it helps them to feel secure so that they know what is coming throughout the day. Again, these routines are flexible, working with the child’s mood and temperament to promote success. Finally, teachers are loving, caring, and sensitive to the needs of the child. The teacher in a Montessori infant setting has respect for the infant and their family. The teacher will have a routine for the child - not a strict schedule, but a routine that will be both flexible to an infant's daily needs, yet predictable so that the infant feels secure in its environment. The teacher will have knowledge of child development and will therefore understand the stages that an infant goes through as they grow. They will help the child move through these stages in a way that will foster independence. The teacher will be nurturing and sensitive to the needs of the infant, and respect the infant as a fellow human being. The teacher will make sure that the environment that the infant is in is developmentally appropriate, clean, and will help the child progress throughout their stages with a high level of comfort. Entrusting an infant with a caretaker is a very difficult undertaking for parents. We understand that. BMS prides itself on its close relationship with the families of our children. We have meetings where the parents are invited to come in and spend some time in their child’s daily environment. The parents have the opportunity to have questions answered, talk to the teachers and the director, and get more of an understanding of what their child is doing each day. Our staff encourages parent participation, and in the true Montessori sense, wants the parents to feel as if there is a partnership in the caring of the child.